We received great insights from hundreds of marketers worldwide – you can find a selection of the responses here. Now find out what made the top 10 – which brands you felt particularly reflected exceptional brand management skills. Read InterbrandHealth’s expert analysis of why these brands are iconic and why they have defined their category, and about the 10 components that give you a robust brand management model for the brands of today and tomorrow. 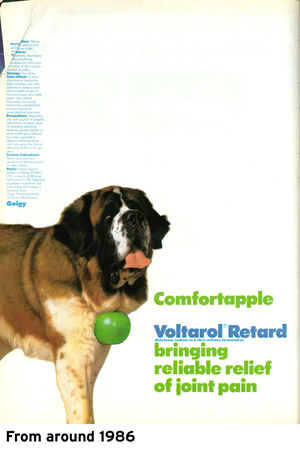 David Fisher, PMGroup MD and former rep, has nominated Voltarol as his iconic brand "Who could forget the Voltarol 'apple' campaign which was used to support Voltarol Retard (once a day, geddit?) ....as reps we even handed out green apples ...one of the few times in my career when the doctors would eat my brand reminder." 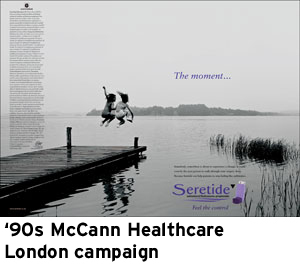 Phil Bartlett, MD McCann Health, nominates Seretide (despite working on competitor brand Symbicort for years). "The Seretide 'The moment' campaign, defined, captured and then owned the concept of 'freedom from asthma." Julian Trimming, MD Bloom Health, nominates Lipitor "For its consistent messaging, emotional triggers and imagery and awareness." Lipitor comes in again for being: "the brand name that can be used in ordinary conversation without explanation assuming listeners recognise the name, known by the general public and what it is for, and for carrying campaign creatives using comedy about the brand, but not ridiculing it." And just in, it's Lipitor, for Tim Warren, MD, Triducive: "The world's largest selling brand (let alone medicine) – it's got to be iconic due to awareness, emotion and relevance to stakeholders." Jerome Peregrine, NHS marketing manager, MSD, nominates Zoton "It was launched second in class, and quickly became the drug of choice over the market leader Losec." From a global head, market access comes the nomination of Solpadol "Still memorable after years of not being promoted. Powerful delivery on brand promise, huge customer and consumer engagement." 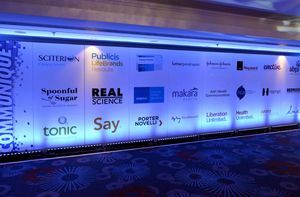 Sunil Ramkali, account director Strategic Pharma, nominates Losec "It was one of the first brands in the UK to introduce real emotional and stimulating visuals in its advertising to healthcare professionals. 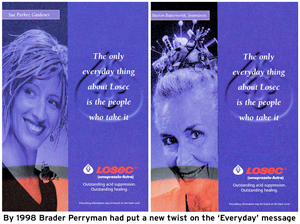 These visuals created excellent awareness of Losec and also helped AstraZeneca position Losec as an everyday treatment for reflux disease instead of a nice positioning in severe disease." Several responses for Viagra over the weekend, with eight nominations from pharma and consultancy/creatives including: Carmen Peral, customer intelligence manager, who says: "Because it has managed to transfer to the consumer world and everybody is aware of it", Pfizer, Tony Altilia, principal, Maxim Partners, consultants and pharma directors in brand development, who says: "It broke new ground and addressed a difficult affliction with decorum. It has become the Kleenex of the erectile disfunction pharmaceutical category". Christoph Meyer-Roscher says: "The name is probably one of the most famous pharma brand names and the triangular shape with the blue is very recognisable". Another nominee commented: "Took a stigmatised disease state into mainstream" sentiments echoed by someone else: "Because it's more than merely an Rx compound. It has consumer appeal too." Herceptin gets a nomination, because: "People live and die by this brand; it is the first brand discussed when patients are diagnosed with breast cancer." Flomax is nominated by a client services director, Europe: "The image of a smiling man holding a hose in a humorous style immediately gave indication of what the product was for, and the flow from the hose suggested it was as effective as did the name." A pharma operations manager proposes Mucinex: "The campaign is extremely creative and can apply to a variety of ages. The little 'mucous men and women' are iconic and immediately remind the consumer of its name." Tylenol, says Linda Locke, principal, Reputare Consulting: "Because we will pay extra for it, even when plenty of generics exist." Plenty of global responses coming in and from Robert Wamai in Kenya, business development, The Bigger Picture we get a vote for Panadol: "It has a really unique positioning and delivers on the promise. Gentle but effective." Philip Lall, managing partner, Procel Consulting thinks the same: "Panadol has stuck faithfully to its logo, colours and design for at least two generations – any changes to the range have not affected quality, reliability and/or durability for at least two generations." "Viagra took the discussion of ED out of the bedroom and to the 'water cooler'," says Kevin A Williams, principal brand strategist, Pure Branding. "It empowered men to address ED in a healthy way and is now part of our venacular – 'Viagra' is the cognitive shorthand for that extra lift in an awkward situation." Ian Talmage, SVP marketing, Bayer Pharma nominates Losec/Prilosec for clear reasons: "It meets three key criteria: brings clinical benefit to patients, developed in a transparent manner (open access to data), and is consistently supported in a unique, relevant and campaignable manner." And so keen are some of you, that you have emailed me from your your holiday to ensure Zantac gets nominated. We look forward to hearing the reasons why when you get back to your desk! 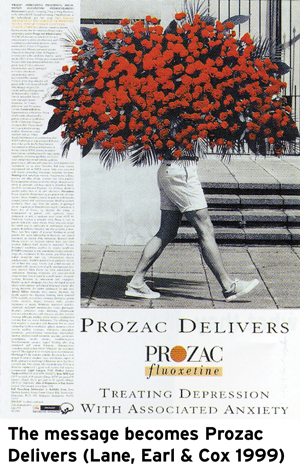 In comes a vote for Prozac because "Everyone knows it whether they have used it or not." And another for Fosamax – "It developed the osteoporosis market, showed continuous growth through its life cycle based on an excellent marketing strategy." For BÖrje Wernersson, senior research scientist, AstraZeneca it has to be Losec/Pilosec. "It delivered, and delivers, real added value to patients with acid-related diseases (eg, GERD) and set a new, better treatment standard for millions of patients globally with such diseases." 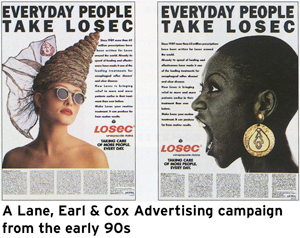 Losec too for an agency MD: "The everyday people campaign was outstanding." Herceptin – "It has more patient and physician loyalty for it than any other oncology product. Despite having been on the market for five years, Roche and Genentech took the decision to re-brand it globally for its adjuvant breast cancer launch and developed a brand so in tune with its customers which was influenced by the knowledge of and loyalty to the brand within Roche." "Impressive marketing feat by AstraZeneca to take PPI to the next level. Excellent global execution," says the division head based in South America (and not from AZ) company who nominated Nexium. Clive Lewis, pharma branding and positioning consultant also votes for Losec/Pilosec. "Because it largely met three factors: consistent, enduring and competitively differentiated visual and verbal branding components; global applicability and resonance with target audience(s), and universally applied across all channels." Colin Hurst, lead consultant, CCC Development nominates Eprex. "It revolutionised outcomes for dialysis patients. As a sales representative it opened doors to healthcare professionals that were closed for other representatives – healthcare professionals were excited about it!" Frank Walters, chairman Frontera Group, nominates Zantac. "Glaxo launched Zantac in the early 80s. At the same time SmithKlineBeecham launched an identical brand, Tagamet. A head-to-head brand battle ensued. Tagamet sold on functionality and low cost. Zantac sold on implicit brand leader values. Zantac ended up being the most prescribed drug in the world." From a pharma intellectual property expert comes a nomination for Asprin. "Although Aspirin is a very old brand, it still stands for innovation since its feasiblity for several new indications has been proven throughout the past years. A research analyst also proposes Asprin because "It's a very straightforward product. 'One size fits all'. Communication is clear – it lives up to its promises (and it is cheap)." Dan Dimmock, strategy director, FutureBrand votes for Aspirin too. "Despite several brands, Aspirin (as a brand name) owns the category." River Wang, marketing director, Bayer Healthcare China nominates enteric-coated asprin Bayasprin which was introduced in China in 1995 for being, "Historic, famous and widely used." It's Bayasprin too for Daniel Delgado, marketing and communications manager, Estudio Antequera Parilli & Rodriguez. "Because it is the oldest in the market, but it is still the one that people look for in a drugstore." Safal Jain, a marketing trainee at IBM, nominates Vicks. "Its imagery and its representation in media make it stand out. It is also associated with various attributes such as trust, safety and comfort – and it has been part of life for many since their childhood." Dan Johnson, business manager, Adlephi Consultech, says his vote goes to Herceptin. "The first/largest personalised medicine brand that has achieved outstanding commercial success. Globally available, fully differentiated and targeted to a specific patient segment." 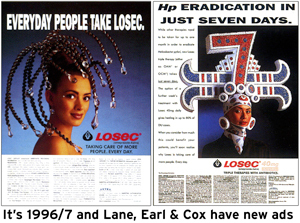 From Oxford PharmaGensis, their MD Graham Shelton nominates Losec for its worldwide benefits. 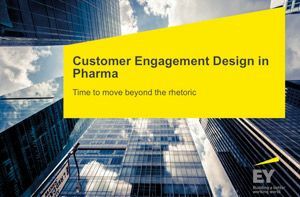 "The first pharma brand to adopt truly global branding principles, becoming in the process the world's first $6bn pharma brand. Has a completely original approach to a massive unmet medical need and opened up a totally new and more effective way of managing peptic ulcers." And back to Viagra, with a further nomination from Bill Lee, global brand director, Novartis. "A household brand name that destigmatised ED, and turned the whole 'disease' into a lifestyle need." Another respondent says: "Viagra changed/disrupted an industry." Nurofen, say both Gary Page, commercial director, Zinc and Sam Anson, managing editor at Rapid News. "Been around for ever but does not seem old. First thing people reach for it they have real pain. Has become the generic term for OTC painkillers." Steven Gray, MD, Compliance Hub, nominates Zestril. "Zest for life is still memorable 20 years on." 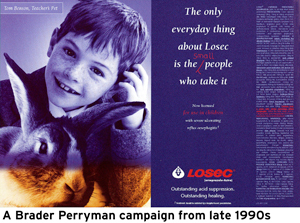 It's a few days since it got a mention but Asprin comes in again with votes from Serge Beckers, managing partner, Wisse Kommunikatie, "Because of the attention it has generated, and the urban legends that were created around it," and Janet Leamy, senior brand manager, Unilever, "Asprin has been an analgesic since the time dot and has competed against designer analgesics but maintains its integrity year after year as a basic yet effective painkiller." A pain-relief brand it is too for Fernando Romero, consultant, Agencia Central, who nominates Advil (ibuprofen), "Because it represents the latest molecule against pain." Shivani, manager at Tata, nominates Band Aid. "It defined a category of medicated plasters. " A senior marketing lecturer also votes for Band Aid. "It has served the test of time and is still used to name the category." Lunesta (for treating insomnia) comes in from Hiroki Ito, strategic planner at Infront Japan. "It clarifies the essence of branding: who, what and why." Ellen Dracos Lemming, CEO, Dracos-Lemming Consulting nominates Bayer Asprin. "Well-recognised, effective, consistent." For Jeff Daniels, managing partner, Daniels Hudspeth, it has to be Zantac. "In its Rx heyday Zantac was, just like Apple is now, 'the pharma brand'. Everyone wanted to be associated with it. 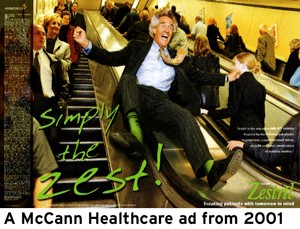 Although it's iconic and long-running, integrated promotional campaign was simple and straightforward, it triggered deep and powerful emotions among prescribers and patients." Another vote for Herceptin, this time from a research director. "Revolutionary, timeless and engaging." And from a business manager immunology, the nomination is Yasmin. "It changed the way that branding was used in the staid and conservative area of contraception – and as a brand represents longevity, recognition and success." It's Viagra for a global marketing excellence director. "Truly a 'brand' with emotional connections (relevance and resonance), as opposed to the majority of pharma 'products' with purely rational features." And Viagra too for Shirajul Haque, senior officer at Prime Bank who says: "Iconic brands are about identity, trust and financial performance. Viagra deserves the nomination for its awareness level and its popularity." For a brand strategy director, Viagra earns the title for having "high awareness, strong brand meaning beyond just what it does for you – more human, less medicinal." Losec comes in again for a agency communications director. "Globally recognised and it broke all records at the time. The first truly global pharma brand." And again for Losec, for being: "Class leading. Changed treatment paradigms in several GI classes. Very strong branding, the parietal cell logo was recognisable even in the absence of the name." It's Prozac for Carolyn Uzelac, director of planning, The Bridge. "Because it's one of the few pharma brand names to have embedded itself in the consumer psyche as synonymous for anxiety relief and mood change, and used metaphorically to describe other products/experiences that do the same." Amgen gets a nomination for representing "significant innovations" and nominations in for Tylenol (and Bayer aspirin again). The last two because of their "ability to reinvent themselves as their market changes, their use across generations, ethnicities and social strata – part of the American culture… known and recognised by all." Creative director at iStrategy, S Premkumar, nominates BandAid. "Most customers across the counter ask for a 'band-aid' when they really mean self-adhesive bandage of any available brand." John Logico, PR consultant, says it has to be Advil (ibuprofen). "No matter where I am, I can find it with my eyes." An iconic brand, he says, "Is a brand that sends a message without any messages. If you see it again and remember it by instinct, the brand works. And, iconic brands cannot be fully explained – if they touch your heart and your brain, they are iconic." Aspirin in its generic and branded forms is back in with two nominations: one for the generic and one for Ecospirin. Dave Footitt, respiratory hospital specialist, nominates Spiriva. "It revolutionised the way a disease is treated and provided the entire data base for the NICE recommendations for the class." Yvonne Sherwin, pharma rep, also gives this her vote. "When COPD is mentioned, clinicians say 'Spiriva'." It's another nomination for Herceptin - "It inspires hope. It's development history has given it personality, and it has a simple name which links to its MOA." 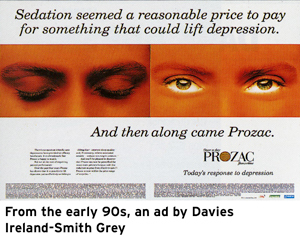 Prozac because: "It smashed the stigma associated with clinical depression, is safe and effective, and was the undisputed quintessential brand in clinical depression during its patented life. It may still be the most well known and highly regarded brand in the clinical depression category." Another for Spiriva. "Nothing over the last 10 years had done more to improve the lives of COPD patients across the world. With 25 million years' patient experience, customers perceive the brand as a trusted partner in COPD disease management." Ashley Wait, director, Elixier Consulting nominates Viagra. "Clear imagery with the blue diamond tablet known by most of the population. Hugely popular with a strong black market and counterfeit sector reflecting demand when prescriptions are not available (similar to the parallel import of 'cheap' USA Levis that was stopped). First in class and unrivalled brand recall; everybody knows it – a modern-day Hoover." Retin-A Micro comes in from brand director, Ed Shupenus. "The Retin-A franchise is number one in brand recognition in dermatology. It is the longest running, actively promoted brand in the biopharma industry, and reaches its 40th anniversary of the launch next year." 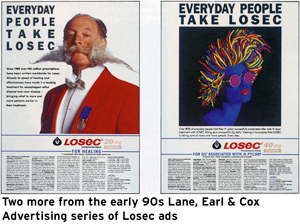 From Mike Lane, former MD of agency LEC, comes another nomination for Losec. "Certainly, Losec fulfills one of the key factors for an Iconic Brand – therapeutic value criterion. In addition, 1993-1999, or thereabouts, its branding was powerful, effective, memorable and consistent." Carl Fredrik BØ,director, Effector AS in Norway, nominates Viagra. The factors he says make an iconic brand are: "outstanding business performance, defines the market, and positive reputation." So too does Trevor Acreman, European head of healthcare at Millward Brown: "The patient suffering ED is most likely to say: 'I need Viagra.' Newer brands have entered the category but Viagra remains the brand that represents the category for the public." 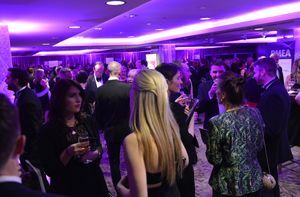 Nominating Viagra, Michael Brandreth, business director, Doctors.net.uk says: "No other blockbuster in recent years has commanded as much column inches in the mainstream media or culture in general." Rami Ashi, strategic planning manager, Y&R Dubai, also opts for Pfizer's "revolutionary invention", Viagra. Remicade comes back into the frame, with a vote from Julio Cesar Ruiz, product manager at Janssen, because he says, "high awareness, a reliable product with a robust scientific data, a pioneer in its class, even after many years post launch, it remains a strong player and made the difference to patients' lives." And another for Zantac, because: "It displaced the market leader quickly. And it transformed the success of its organisation." Digital communications officer at Bournemouth University, Dan Ford, opts for Benylin. The factors he lists for this iconic brand are that it is embedded into our culture, contains nostalgic undertones and is immediately identifiable. He describes it as, "'the' classic cough medicine, almost 'passed on' by parents." For 'presence and trust' April Britt, brand manager at FedEx nominates Tylenol. Six new nominations for Viagra including votes from Dave Wyatt, creative director, HUG Advertising "It beat tough competition and needs no introduction", Shari Novick, founder & CEO, planetsur, brand consultant Jean Grogan "The only pharma product innovation I can remember by brand name", Fiona Hirst, Pharma Marketing Academy "Like Nurofen, people know the name of this brand, even if they have never used it and it has become synonymous with the category. It has strong visual clues ('the blue diamond pill'). It changed how people thought about things and became part of the national consciousness in a way few pharma products have", and from Julián Ballesteros, general director Grupocom. One marketing manager says: "Viagra created a market that didn't exist and wasn't talked about. It made people who had no voice stand up and seek help. 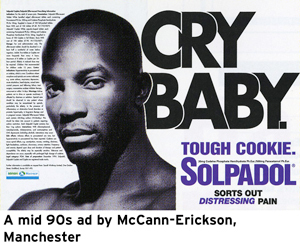 It became an icon by crossing from a pharma brand into the mainstream public conscience." Panodol gets the vote from Selim Asmar, marketing planning director, Widriss Holdings. Seretide comes in again from Liz Clark, strategic planner, VCCP Health. "Because in a market in which it's easy for choice to come down to device and therefore patient choice, Seretide has consistently maintained its position over the years and sought to engage with customers and show them new heights that patients can reach on a brand they thought they knew everything about." Two more votes for aspirin from Elena Kerpeleva, marketing manager, Gutwell and from Enrique Florido, brand & strategy consultant, Trade Consulting Group. Enrique says: "Because it is still relevant to consumers, it maintains its freshness, and works as a product." Cost is a factor in Suman Kalyan Pal's nomination for Corex, as well as efficacy. From e4e healthcare services, he describes an iconic brand as: "1. Giving quick results, 2 With an average range of cost and 3. Producing least side effects with maximum compatibility." For Bora Ciftci, marketing advisor, Homestar, the vote goes to Bepanten. Ashley Wait, director, Elixier Consulting nominates Nurofen, as having "clear brand imagery that exudes efficacy, reliability and trust, and for the brand name being more powerful than the generic alternatives." He adds: "One of the key factors in an iconic brand is its "imprint on concious and unconcious recall." A first appearance for Glucophage: nominated by a senior research coordinator who says: "It's widely studied, still under investigation for new and previous indications, and time tested effective in its indication." 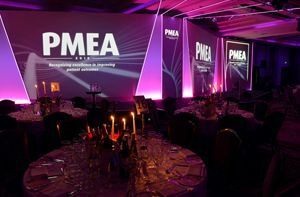 Alka-Seltzer gets a vote from Juliana Prather, vice-president strategy, Maidenform because of its "heritage, relevance and meets expectations". It's Remeron for Arjen van Willigenburg, MD CHC Europe: "The brand has entered the market slowly and will stay there now for a long time." A first mention for Aricept from Adam Gay, director, DNA Healthcare Advertising in which he makes a strong case of it: "Aricept defined Alzheimer's treatment. It had three competitors that attacked it on price, efficacy, mode of action and administration – until it's loss of patent it remained market dominate in all major markets. 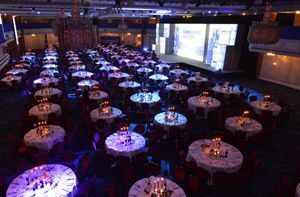 Without being well known it has changed the way over 600,000 people in the UK have been treated (and still counting)." He adds: "The problem is the same for all ethicals – time. We have 20 years from discovery, around 12 years from launch to make an iconic brand. Coke has had 100 years and Apple 40+. With such little time and huge regulatory restrictions it is a wonder any ethicals make a brand status, let alone iconic!" Clarityn comes in for a vote: "It revolutionised the DTC arena in the US and featured on many mainstream TV programmes including The Simpsons. 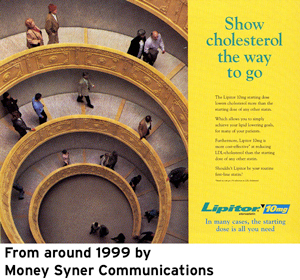 It made DTC advertising of Rx medicines part of the must-do marketing mix." From senior product manager, Fresnius Kabi, Lyndsay Woodall, the iconic brand is Thick & Easy. Lyndsay says: "Because it is an innovative and market-leading brand that has grown and educated the healthcare world to change treatment for (and lives of) dyshagic patients." A vote cast for Calpol from Becky Taylor, account director, InVentiv Health. "As I type I can still recall the taste of the sticky sweet purple liquid. Moving with the times while maintaining its core identity, Calpol has transformed from a paracetomol suspension to a bathroom cupboard necessity." Becky's criteria for an iconic brand, include: "Location neutral – communicates above language/despite cultural differences."